During the week of October 15, 2018, board members of the Gebetsliga met at Heiligenkreuz Abbey, Austria, for their annual meeting. The meeting is an important opportunity for members to discuss the various workings of the League as it moves forward in promoting the cause of Blessed Karl of Austria. "Stift Heiligenkreuz", which means the "Abbey of Heiligenkreuz", is a beautiful and thriving Cistercian monastery, close to Vienna, the capital of Austria. 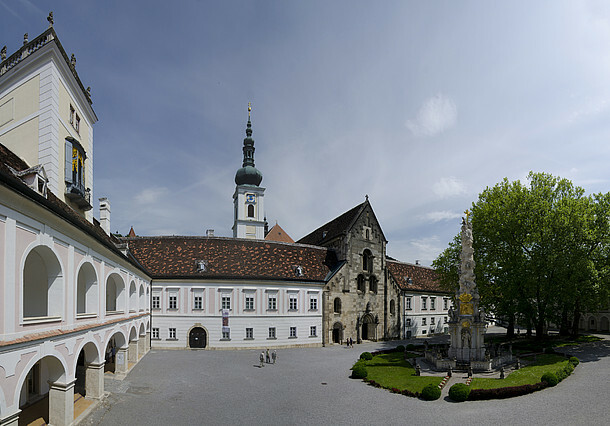 Stift Heiligenkreuz is the second-oldest Cistercian monastery in the world and the oldest continuously active and inhabited one, now full of young vocations. In September 2007 it was blessed by an official visit by Pope Benedict XVI. Stift Heiligenkreuz, peacefully situated in the middle of the "Wienerwald", the Vienna woods, is one of the most beautiful medieval monasteries in the world. It was founded in 1133 by St. Leopold III of the House of Babenberg. Leopold’s son, Otto, had been sent to Paris for an international education. 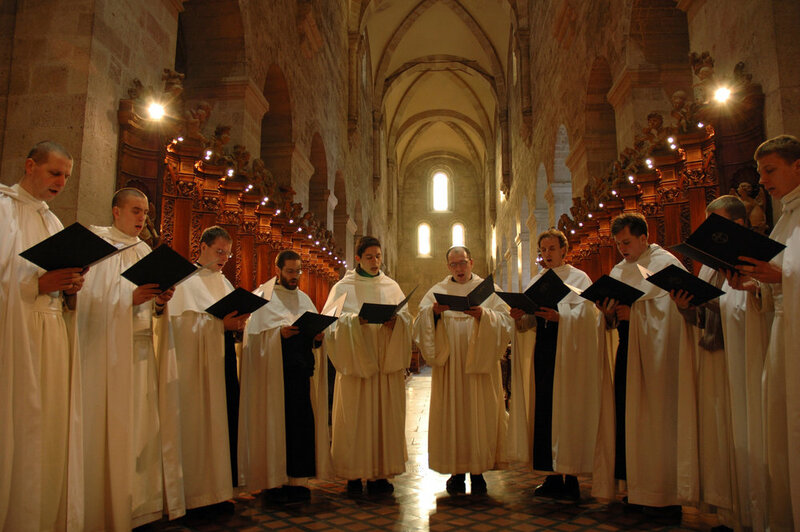 Otto came in contact with Cistercian monks and soon decided to enter a Cistercian monastery. When Otto visited his father in Austria he asked him to build a similar monastery for Lower Austria. This was the reason St. Leopold built Heiligenkreuz as well as Klosterneuburg to the northwest of Vienna. Currently the monastery has over 80 members, 18 affiliated parishes, and a Pontifical Theological Academy (founded 1802) with around 180 students.